A professional bodyworker with over a decade of experience and 1,000 education hours, Brenda Goodell enjoys working on people of all ages and stages of life. Brenda's background reflects a personal interest in subtle and energetic healing modalities including: Bach Flower Essences, Reiki and Polarity. A certified infant massage instructor with the IAIM and A Foundation for Healthy Family Living, she offers classes to parents and caregivers of babies and the growing child. Brenda blends western medical massage with acupressure of Chinese meridian points to balance the body. Each massage session is a synergy of several modalities. The spectrum of people who enjoy her work are diverse and range from pregnant women, athletes, senior citizens, cancer patients, people with chronic pain, fibromyalgia, and injuries…to those who simply want to relax. "I find inspiration for my next move in the moment. It could be a message I'm interpreting from a muscle, the lilt of the music or a deep sigh that informs me where to go. I always do different things. I don't impose templates on the body. I just listen. Then the massage is collaboration between me and the client. We are fusion artists." In 2001, Brenda became Nationally Certified. She is a member of the International Association of Infant Massage Instructors (IAIM), the Birth Resource Network and A Foundation for Healthy Family Living (AFHFL). She has completed the level II Infant Massage training for children with special needs in Sonoma, CA with AFHFL. Brenda hopes to use this knowledge with the prospective foster parents she encounters teaching classes at the "Angels" foster parent agency. "I find Brenda to be very in-tune with developments that directly help my neck and back problems. Her insight into my racing injuries and understanding of my symptoms, has taught me to change the way I react to my everyday struggle with pain." "During periods of high stress, it is comforting to know that I can experience rejuvenation on both the physical and even spiritual level as a result of Brenda's innate ability and connection to the wholeness of the physical being. I begin to feel an inner sense of relaxation and calm just anticipating her work." "Brenda has the ability to match her massage to the needs of your body. Each massage will vary (if you wish). Her intuition and perception tell her what needs work (even if you don't!). It never fails that she goes right to the sore spot. She has helped me with sore muscles, sinus problems, headaches and overall tension. I recommend her highly." "Massage is an excellent source of stress relief and Brenda's treatments have been something to look forward to every week. I consider her part of my 'health care program!'" 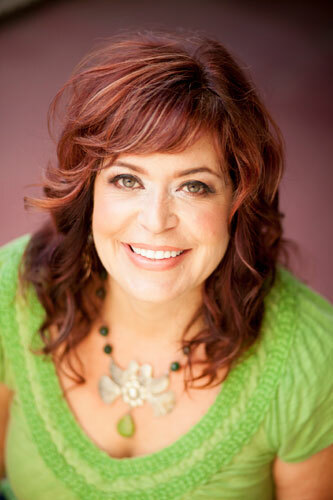 Brenda Goodell is a holistic health practitioner and massage therapist in San Diego, CA. Her holistic massage sessions are a synergy of energy healing, intuition and modalities.